The primary challenge for any local business is to figure out a strategy to outsmart their competitors. Imitating the marketing tactics of the big global brands will not bring in the desired results and help your effort for gaining promising publicity in the local arena. There is a need for a different promotional game plan for the businesses that operate locally in order to gain an instant professional edge. Utilizing Google AdWords for the promotional purpose can be a great asset to the businesses of any shape and size especially at a local level. When utilized properly, it can bring outstanding results and helps you to build a strong foundation for your company. In a simple term, Google AdWords works as a platform that offers pay-per-click service where advertisers can create and run ads for their products and services by selecting the right keywords. It is a fantastic advertising medium to easily reach clients/customers who are really interested in a particular product or service. In a local AdWords campaign, clickable ads will be displayed only to the searchers who come from a specific geographical location and the advertisers only need to pay when the searchers click on their ads. It is a cost-effective method of promoting your company in the digital world. The success of any AdWords PPC campaign depends largely on the carefully selected set of keywords. Actually, keywords are the terms or phrases that people use while performing a search action. For a jewelry store situated in Philadelphia, the probable keywords would be “best jewelry store” “personalized jewelry items” “ornament shop” etc. Advertisers bid on keywords for which they want their ads to show on the search engine results page. It is more or less known to all and you might be wondering what’s new information I’m offering you. Let the magic begin, take a look at the tricks local business owners can use with their keywords to boost their PPC campaign. Google AdWords is the best investments small businesses can make for their promotional purpose. But the flip side is running an erroneous campaign could only drain money out of your pocket without giving any conducive results. So the onus is on you to remove the glitches and perfectly streamline your campaign. Here I am explaining two AdWords blunders often committed by the businesses and the possible remedies to rectify them. Solution: You need to keep in mind that, businesses like electrician, fitness classes and laundry services should only set to advertise in the area, where they cater their services. It is quite unlikely that a person sitting in New York will call for a Boston-based electrician. Broad area selection will only result in clicks that will bring no real deal. Solution: It is essential for the lawyers and property advisers to select a broad area, as their clients can come from any location. If they only run a PPC campaign for a specific area, there is a great chance they are losing business prospects from other regions. When you avoid all of the mistakes, you can expect high-converting Google Ads. As location extensions to your Google PPC ad show your storefront location with your search ad, searchers can get a complete knowledge about the exact location of your retail store. When they display on a mobile phone, they include a clickable link so customers can easily get directions of the shop. If you are a business with a brick and mortar location, it is now more important than ever to integrate location extension with your PPC ad copy. Callout extensions could prove highly useful for announcing your USPs such as free shipping, 24×7 customer service, discounts, price matching and more. Up to 4 callouts can appear with your ad and each can be up to 25 characters long giving you the room to communicate the value of your business to the potential customers. Review extensions allow the businesses to showcase reviews they have received. It may set off a positive chain reaction among the consumers about the company, product, or services. It will help you to create a good first impression and a greater likelihood of click on your ad that may result in high CTR. 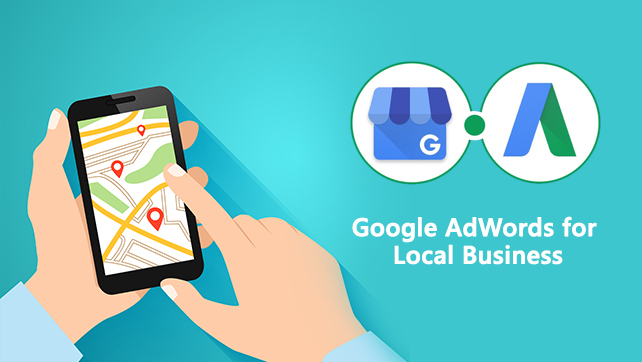 In order to give better business exposure to the local mom and pop shops, Google took a few fantastic initiatives and streamlined their local search results. So as business owners and marketers, success locally and online is only a step away with AdWords.